Google has updated Google Maps and now lets users access more personal information regarding their locations with a quick search. Google Maps culls more data from users' Gmail accounts and will automatically make event details available to Maps. Google says users who make a flight or dinner reservation, for example, will be able to find those locations on a map by using the "my events" tool. Maps already searches through users' calendar to automatically add event locations to Maps. The new search tool makes the events easier to find. 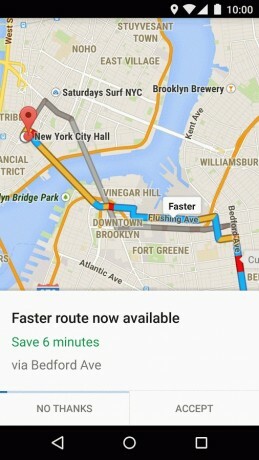 Google Maps for Android is free to download from the Play Store. Google today announced its Google Maps and Google Search apps will soon show critical information regarding natural and other disasters that may strike. The SOS Alerts, as they are called, will appear at the top of search results and within maps as people look for information concerning the disasters or impacted areas.